While this look is pretty simple, it took a deceptively long time to do. The hatchmark stripes were easy and very quick, but painting the stars took quite a while. I enjoy meticulous work, but they are just so small that it was difficult to keep them even on all sides. I ended up trimming down one of my medium nail art brushes to get a finer point, which helped achieve more consistent stars. The base here is OPI Alpine Snow. The stars were painted with JINsoon Cool Blue, and the stripes use Nicole by OPI American As Apple Pie (how perfect, yeah?) from the Carrie Underwood Collection. I always enjoy full nail patterns and this one is no exception. 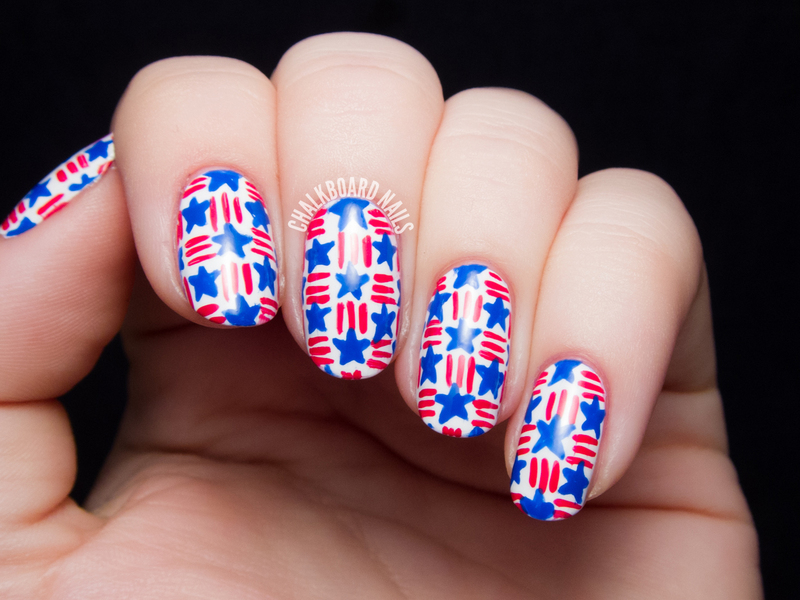 For those of you that are wondering, yes I did do my right hand with this pattern...except instead of the freehand stars I just put large blue dots. Trying to do those stars with my left hand would have probably been the end of me. If you are celebrating tomorrow, be safe and have fun! You are so talented! 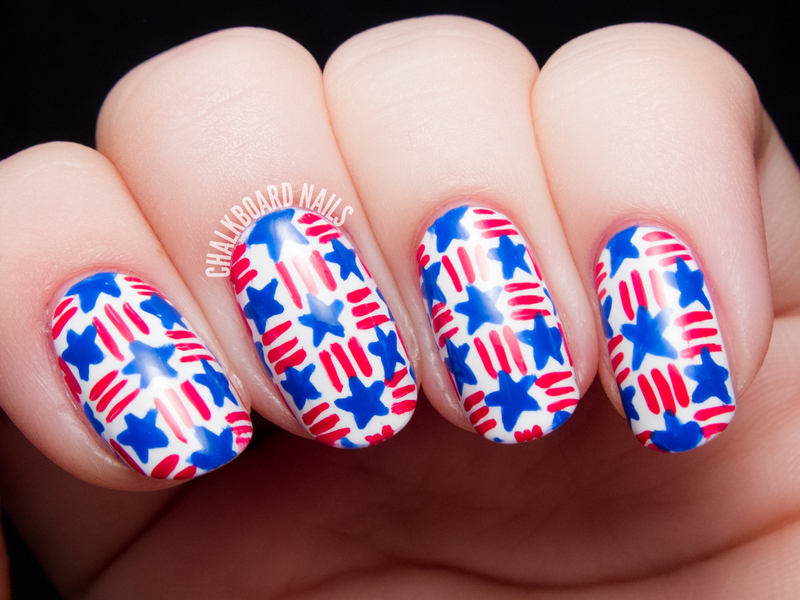 This is a fantastic mani. 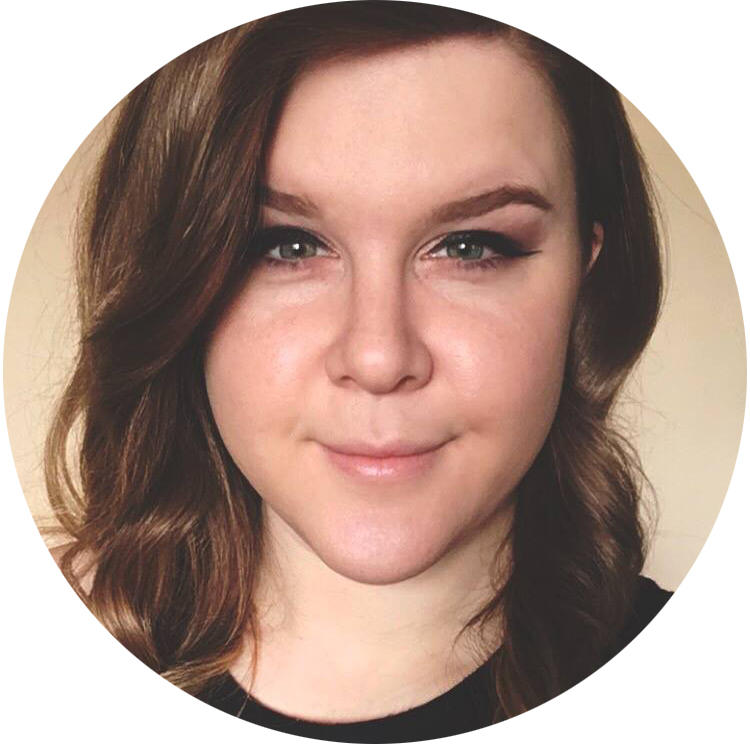 I know how I feel painting 1 star and having it turn out, so this is awe inducing. Thank you! I'm glad you like the lightning vinyls. They are so easy and work so well! Thank you Cindi! I definitely muttered some curse words under my breath as I was painting all those tiny stars. The things we do for nail art! Happy early 4th of July! 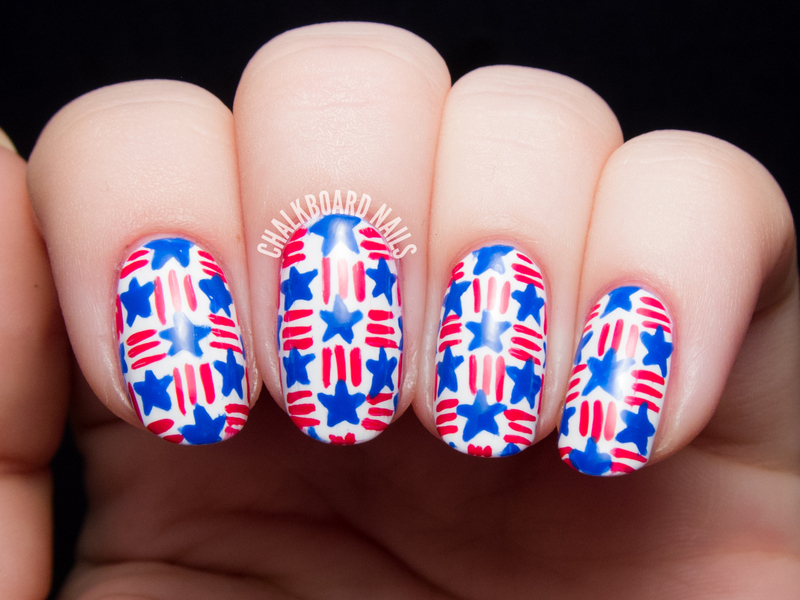 I love this mani! 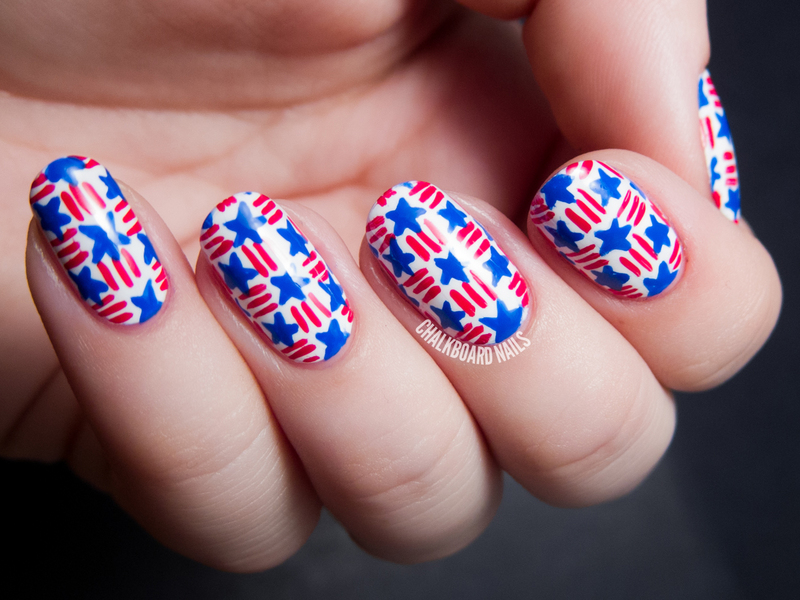 These are cute and so patriotic! This is so creative! I can tell you worked really hard on this, and it came out looking awesome :) I could never have the patience or precision to paint both hands. Mad props. I, lacking creativity in the nail-art area, am simply wearing a Nailasaurus-inspired red, white and blue waterfall mani. Happy Fourth! So fabulous!! You have so much patience!! Just fantastic!!! If I had little blue star stickers (ooh holographic ones would be cool!) or nail vinyl stickers in blue I might attempt this, but I simply would not have the patience for this level of work.